Travis Scott in Montreal or Quebec City? Inform me about the next events for Travis Scott. Enroll yourself to our priority waiting list for Travis Scott to be alerted when new tickets are available. Filling this form doesn't engage you to any purchase. Travis Scott will be back in Montreal on March 5, 2019 for a show at the Bell Center! 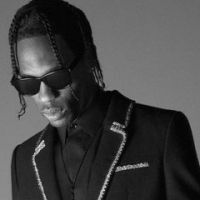 This time, it will be a full show, and Travis Scott will perform the new songs from his latest album Astroworld, which is featured on several "top albums of 2018" features. Do not miss it!